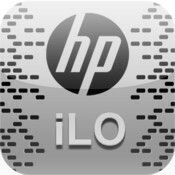 By default, HP’s ILO interfaces are set to DHCP. Yes you could go into your router to see which DHCP lease it got, but here is a much more easy solution that you can use anywhere, even though you don’t have access to the router/DHCP server. Here is the script that finds all ILO interfaces on a subnet. There are multiple ways to use this. If you use Bash, you can put it your ~/.bash_aliases file to make it accessible in every terminal. If you don’t use bash, you can put it into a .sh script and execute that directly. If you those this method, remove the first and last line of the script. It works the same way if you saved the script in a .sh file, but replace ilo_list with your file name. It will ask for the password to sudo. Nmap needs this to do the OS fingerprint scan. If you run it as root, you will not get prompted for a password. This has saved me a lot of time over the last few months, so I though I should share it here to make my fellow sysadmins happy! Feel free to leave a comment if you have any improvements to the scripts. This entry was posted in Guide, hardware, Linux, Scripts and tagged guide, Hardware, how-to, Linux, network, Server on May 6, 2014 by Steffan.